September 2015 promises to be an important month for the Arab States Research and Education Network (ASREN). Firstly, the network is expected to hold a three day workshop on joining eduroam and Identity federation scheduled to be held at the Talal Abu-Ghazaleh University (TAGI-UNI) in Jordan from 8- 10 September, 2015. 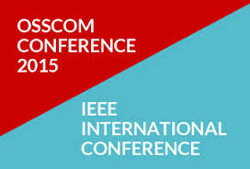 According to ASREN, the workshop, being organized in cooperation with the German Jordanian University, MAGIC Project and EUMEDCONENCT3, will be held in conjunction with the 1st International Conference on Open Source Software Computing (OSSCOM 2015) to be held at the German Jordanian University on 10-13 September, 2015. Information on the ASREN website says the eduroam and Identity federation workshop aims to drill participants who will be provided with a working RADIUS and a Shibboleth server, to enable them technically connect NRENs and institutions to the eduroam infrastructure as well as connect institutional identity provider to the national identity federation as well as to eduGAIN. Registration for attendance to the workshop, which is targeting heads of IT from NRENs, heads of IT departments from institutions and IT administrators, is already underway and the registration fee is 100 Euro for ASREN members and 200 Euro for non members. As this workshop will be finishing on 10 September 2015, the 1st International Conference on Open Source Software Computing (OSSCOM 2015) is expected to start on the same day and expected to wind up on 13 September 2015. OSSCOM is an international project that aims to setup linkage between academic institutions and enterprises to support transformative technical education and rejuvenation, build Open-Source Software (OSS) hubs and communities, enhance technology access to societies at large, and boost economic development. It enables the achievement of these objectives by establishing technology centers to provide coordinated support and resources for developing and enabling an environment for large-scale OSS technology outreach and its use in academic institutions and enterprises.